The Bracket uses a bolt and nut combination instead of the easily stripped self-tapping screw common on other brand brackets. 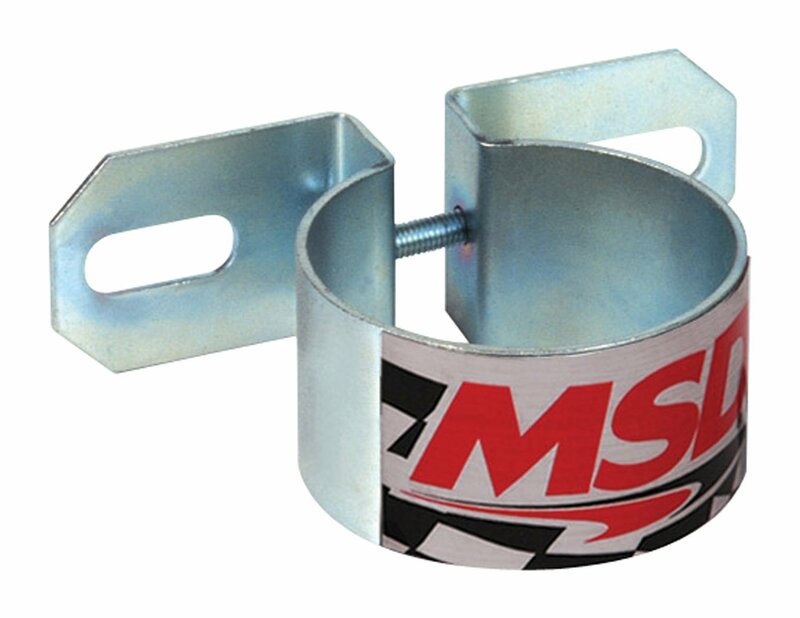 The MSD Coil Bracket offers easy, univer­sal mounting for standard size ignition coils up to 2.25" in diameter. The sturdy metal housing of the High Vibration Coil is completely pot­ted with a premium grade epoxy to completely encase the coil’s primary and secondary windings. The Blaster 3 Coil features an extra tall tower design to improve the coil wire attachment and spark isolation. Supplied with a 90° terminal and boot. Chrome Blaster coil, includes ballast resistor for stock points applications.